If the bandwidth of your Internet connection permits it, EchoLink allows up to 100 different stations to be connected to you at once. 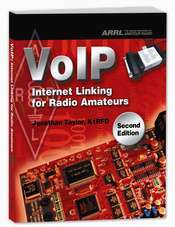 This is especially useful in Sysop mode for running a roundtable on your local repeater, or allowing "listening" stations to be connected without blocking out others. A number of useful remote-control features are available in Sysop mode. Extended DTMF commands allow stations to be searched or connected by callsign, or the status of any station to be queried. 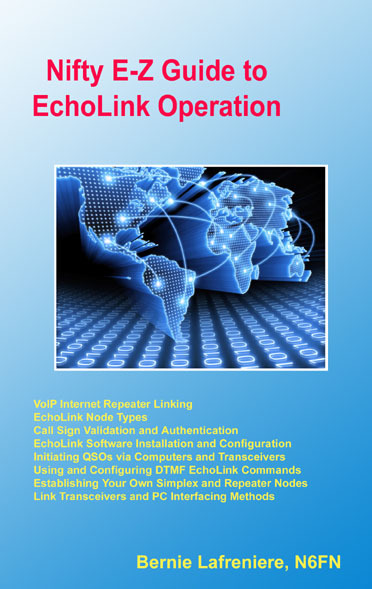 The program also includes a built-in Web server for remote control of EchoLink from any Web browser on the Internet. "Floating" pop-up windows keep track of how many stations are on the system, along with detailed status about the current connection.